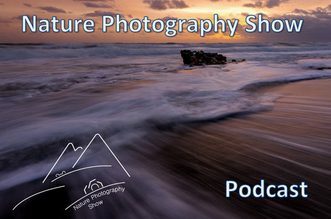 The insights, opinions and direction of a photo professional can be very helpful, but the most powerful tool for self-improvement in underwater photography is, and always has been, brutal self-critique. First, you have to know what a good photograph looks like. Second, you must have the basic technical skills to understand how to change what you’re doing wrong. And finally, you must be relentless in your pursuit of perfection. If that means you fill up lots of trash cans with lousy photos, well, join the crowd. In all of my years of underwater photography, I have tossed out more than my share of slides because they were improperly exposed, full of backscatter, unclear, poorly composed or obviously flawed in any number of ways. We all make mistakes, but true self-improvement comes from analyzing your photos, recognizing the good from the bad, and learning from your mistakes. Here are three photos I should have thrown away, but chose to keep to illustrate what not to do. What it is: When particles suspended in the water are illuminated by a strobe, they can appear as distracting white particles in your photo. The particles can be either small specks or larger white blobs that take on the shape of the lens aperture, depending on how focused the particles are. What causes it: If the strobe is too close to the lens, particles will be illuminated and exaggerated by the full frontal light. Sometimes the water is simply too dirty to get a photo free of backscatter no matter where the strobe is placed. How to fix it: The angle at which the strobe is held can make a significant difference in minimizing backscatter. It is far better to move the strobe away from the lens, typically at a 45-degree angle above and to the side of the subject. Remember the effects of refraction under water, and aim your strobe slightly beyond your visual perception of the subject’s location. When the water is very dirty, particles may still appear in your photo regardless of strobe placement. Note in Photo 1 that the particles are most apparent in the upper portion of the photo, leading me to assume that a good wide-angle shot that includes open water was probably not possible under these conditions. Instead, I would have been better off using different optics to shoot close-ups of subjects like the starfish. By doing so, I also could have reduced the amount of water between lens and subject. I also could have found a background better suited to camouflaging the particles. Overall lessons on backscatter: (1) Aim your strobe properly to minimize the number of particles you illuminate in front of your lens. (2) Let local conditions help determine the best kind of photos to take in order to minimize backscatter. When a strobe is too close to the lens and provides full frontal light (left), particles visible to the lens are illuminated, causing backscattter. To minimize backscatter (right), place the strobe at a 45-degree angle above and to the side of the subject, thereby illuminating the sides of particles not visible to the lens. What it is: One of the special problems faced by underwater shooters is the effect of water on the spectral composition of light. The deeper you go, the more colors are filtered out. Even the clearest tropical water still acts as a cyan (blue-green) filter, the complement of which is red. That’s why red is the first color to disappear in available-light photos, followed quickly by other colors such as orange and yellow at the warm end of the spectrum. In water only 30 feet deep, a photograph taken without a strobe will be rendered a monochromatic blue and black. What causes it: Assuming you are using a strobe, two common mechanical problems are: shooting before the strobe has recycled properly; and a malfunctioning strobe or connector cord. In the first photo of a potato cod in Australia (Photo 2), there is no artificial light evident. But because the rest of the series was properly lit, I can make the reasonable assumption that I shot before the strobe had recycled properly. However, the most common problem among beginning and intermediate-level shooters is too much distance between subject and strobe. There are several explanations. First, objects appear 25 percent closer under water than they actually are. In most underlit photos, the shooter should have been at least 25 percent closer to the subject. Second is the failure to appreciate just how much strobe light the water can soak up. For most strobes, a maximum distance of two to four feet from the subject is optimal. Beyond eight feet there is no strobe that can provide adequate illumination and you are essentially shooting available light. Remember, light must pass through a medium 800 times more dense than air that contributes cyan filtration. Eight feet is effectively 16 feet because the strobe light must first hit the subject and then be reflected back to the film. Too much water between you and the subject and you’ll only succeed in lighting the particles. Blue and backscatter. Another one for the trash can! How to fix it: If under-illumination has been a continuing problem for you, next time you’re in the water, get as close to your subject as you think you should be, then move 25 percent closer. Especially if you’re using a non-SLR camera, remember to move close enough to fill the viewfinder from side to side without exceeding the lens’s minimum focus distance. Most viewfinders will still give some empty space around the frame even when it is filled. But remember, never work nearer than the lens’s minimum depth of focus. Another solution is to calculate strobe-to-subject distance and aperture setting for each photograph. There’s a simple formula for doing so. Many photographers compute the various possibilities and keep them on a chart affixed to their strobe. The formula: Divide the strobe’s rated guide number by the distance to yield the aperture setting. For example, with an SB 105 strobe, the manufacturer calls for an underwater guide number of 33 for ISO 100 film. At 3 feet, this would yield an f/11 setting (33 divided by 3 = 11). The formula works in reverse, too. If you want to use an f/11 aperture setting to increase your depth of field, dividing 33 by 11 would tell you maximum strobe-to-subject distance (3 feet). 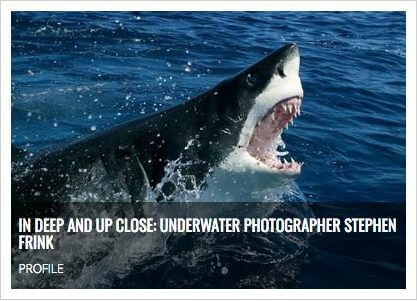 Overall lessons on underlit photographs: (1) Make sure your strobe is functioning properly before you go diving. (2) Make sure you are the proper distance from your subject according to your strobe’s power rating, film speed and aperture setting. What it is: An unsightly bright spot on the faceplate of your model’s mask. What causes it: Usually this happens when the strobe is held too close to the lens, causing the light to reflect directly off the mask and into the camera lens. In the first photo below (Photo 3), I was confined within the hull of a shipwreck without much room to position the strobe head. However, because I was shooting with a Nikonos V and 15mm lens, I actually saw the errant light reflection through the viewfinder and repositioned the strobe for subsequent shots. Had I been shooting with a single lens reflex camera, I probably would not have been aware of the problem. Why? The mirror that provides the view through the lens flips up at the exact moment of exposure, making it impossible to diagnose this problem while in the water. How to fix it: Strobe placement, again. By placing the strobe head above and at a 45-degree angle to your subject, the angle of light reflection will be away from your lens, instead of straight into it.